Latin for “Nighttime Sun,” Sol Noctis is the first series of real proof collectible coins denominated in bitcoins. The first coin of the series got the name of the Binary Eagle. It’s a pure silver coin of proof quality with a built-in 0.01 bitcoin (XBT) value that is set to attract coin collectors and bitcoin enthusiasts around the world. The Binary Eagle is a silver collectible coin minted of 1 oz .999 pure silver in proof quality with the face value of .01 BTC. 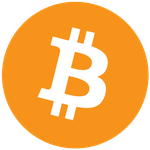 Bitcoin, the world’s first digital currency, was launched in 2009 as a peer-to-peer payment system that allows users to send and receive payment without credit cards or bank accounts. As bitcoin’s popularity has grown and its usage is constantly expanding beyond the limits of a payment system, it was soon spotted by collectors of modern coins. The Binary Eagle was struck by the Mint of Poland, one of the leading manufacturers of coins and collector’s items in the world. The Binary Eagle coin design incorporates complex elements and security features that make it truly unique. Each coin is embellished with a majestic eagle, a symbol of the freedom the bitcoin technology provides. value of the coin at any time. As a result, the world’s first collectible proof quality coin with detachable face value was produced. The total quantity of the coins minted will not exceed 2009 pieces. “We created Sol Noctis to mark the point where two worlds meet: traditional numismatics and a payment system of the future, and so to push the limits of both of them. It’s a thrill to integrate such a unique and universal cryptocurrency into a high quality physical product. The Binary Eagle is the also the first official coin that is manufactured maintaining the highest standards of the reputable Mint,” said Danylo Knysh, general manager of TopWorldCoins GmbH.